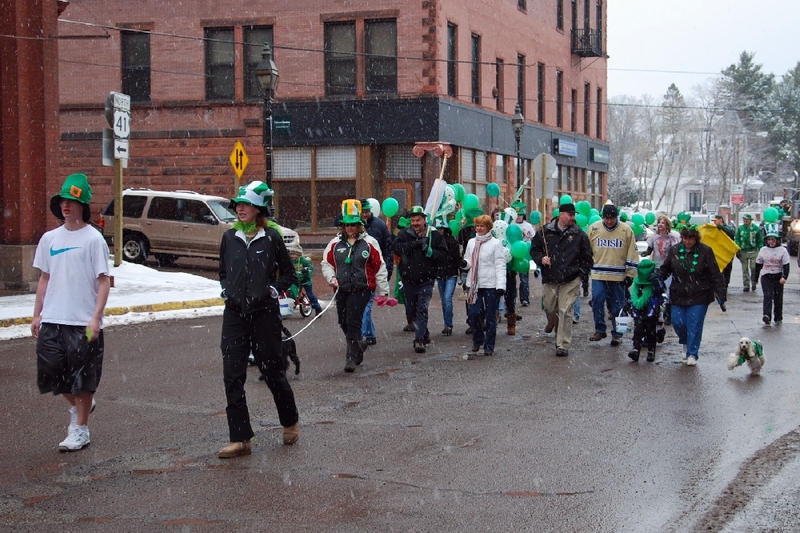 The 148th Annual St. Patrick's Day Parade was held on Saturday, March 12th, in downtown Hancock. The Hancock High School Junior R.O.T.C. 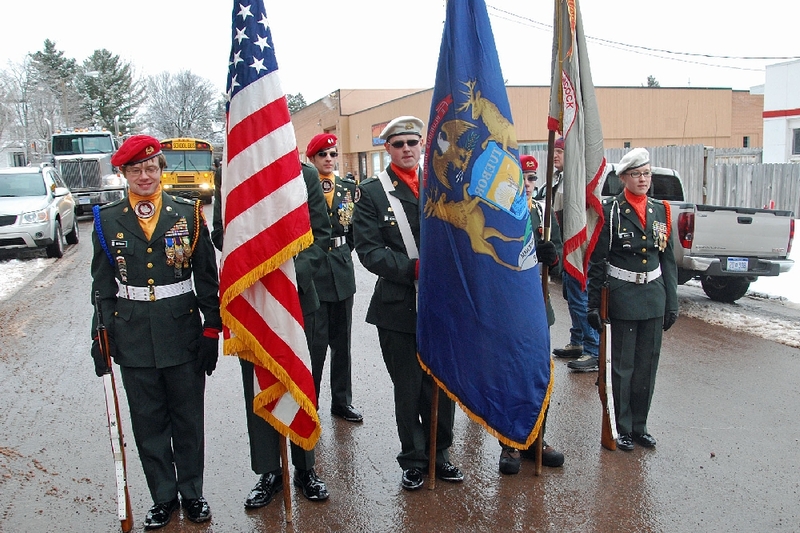 Color Guard carried the Honors. 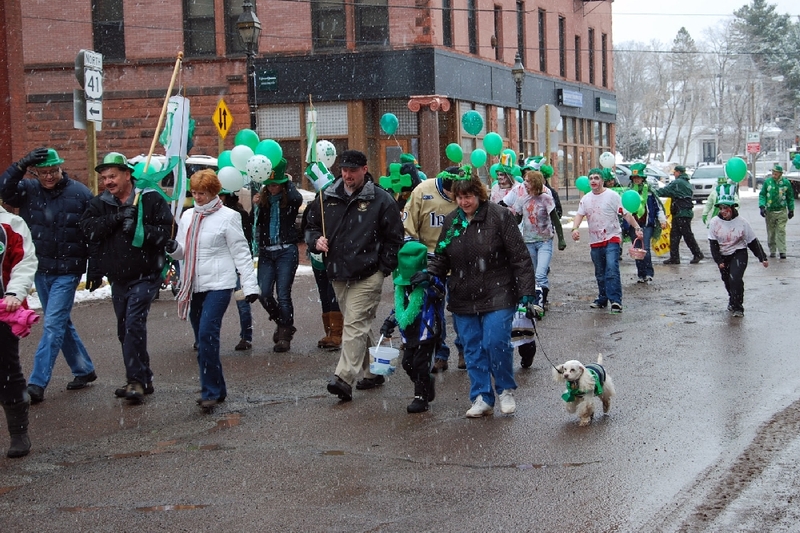 A number of the Irish participated again this year, with plenty of the 'Green'. 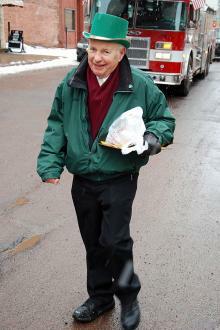 Members of the City Council and Administration joined the festivities. 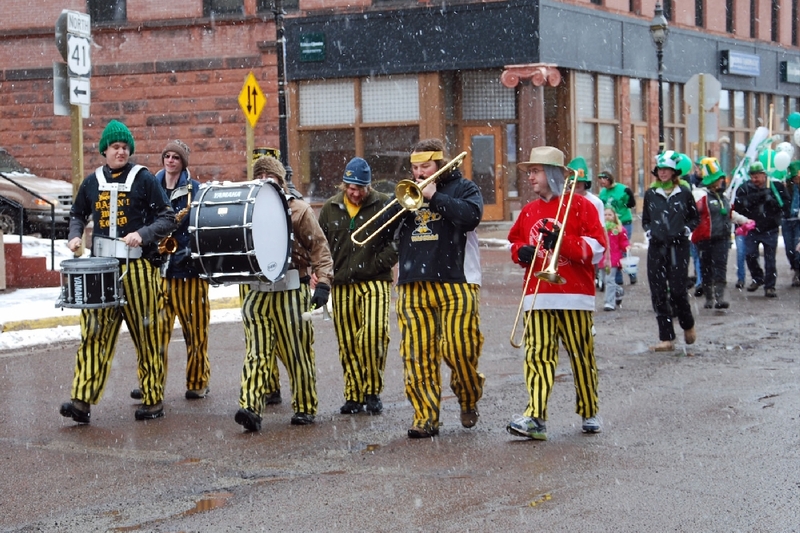 The Michigan Tech Pep Band contributes to the musical entertainment. 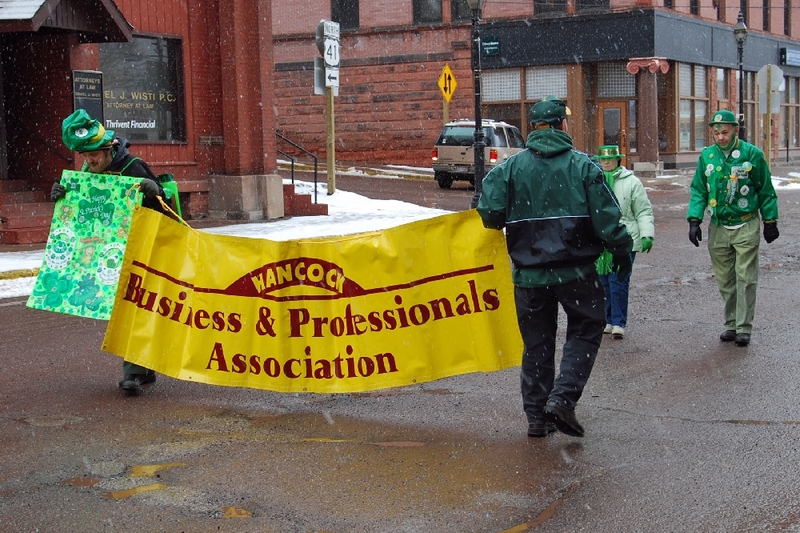 The primary sponsor is the Business & Professional Association of Hancock. 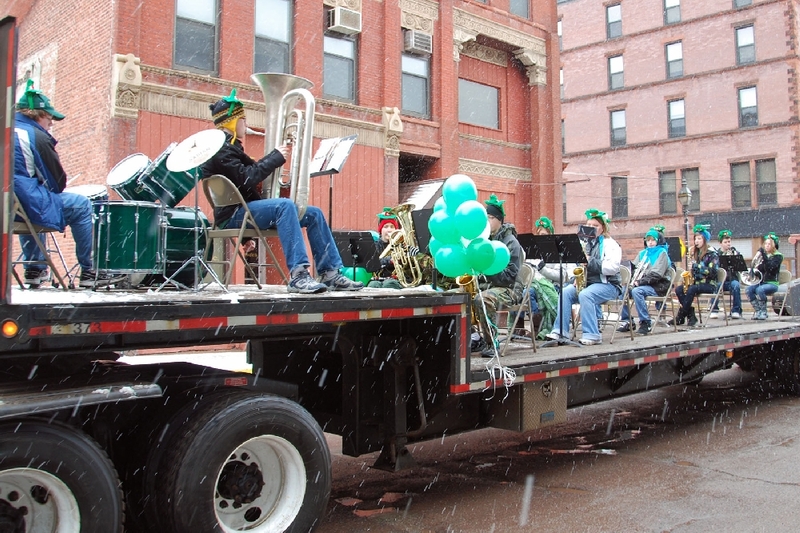 The Hancock High Band plays for the crowd, on a somewhat cool day, with a few mixed snow and rain drops. Snowfall for the season stands at 117 inches so far, far below average, and near a record for low snowfall. 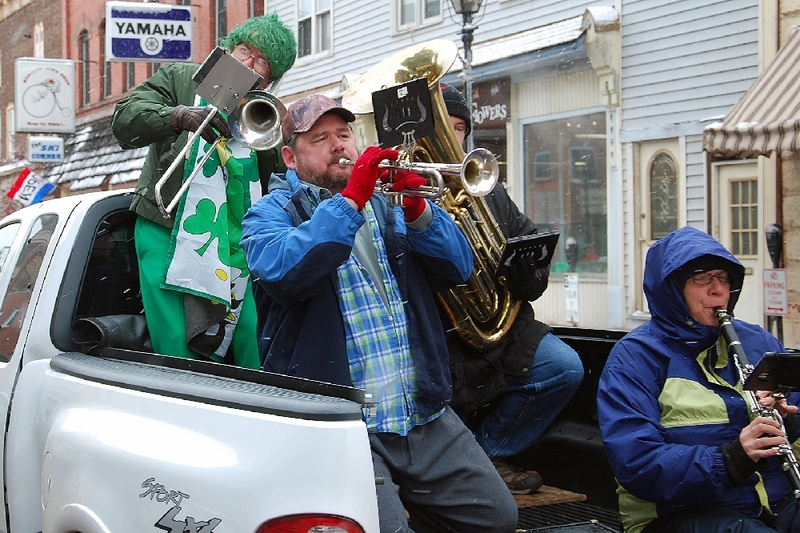 The official St. Patrick's Day Band, the Robert Nordeen Group, once again plays for the Parade, and later, at O'Gino's Restaurant. John Condon, unofficial Parade Marshall in recent years. 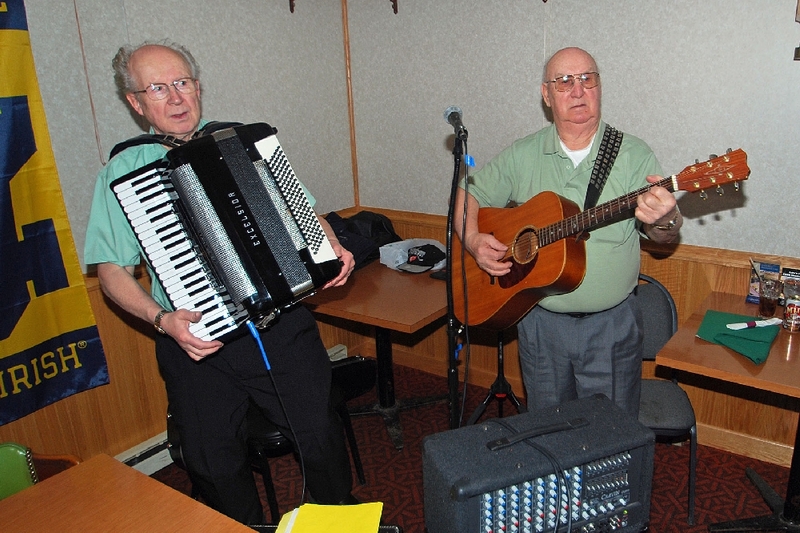 The luncheon is held each year at O'Gino's Restaurant, here, the duo of Ron Masters (guitarist), and Ron Kellio on accordion, play for the luncheon crowd. 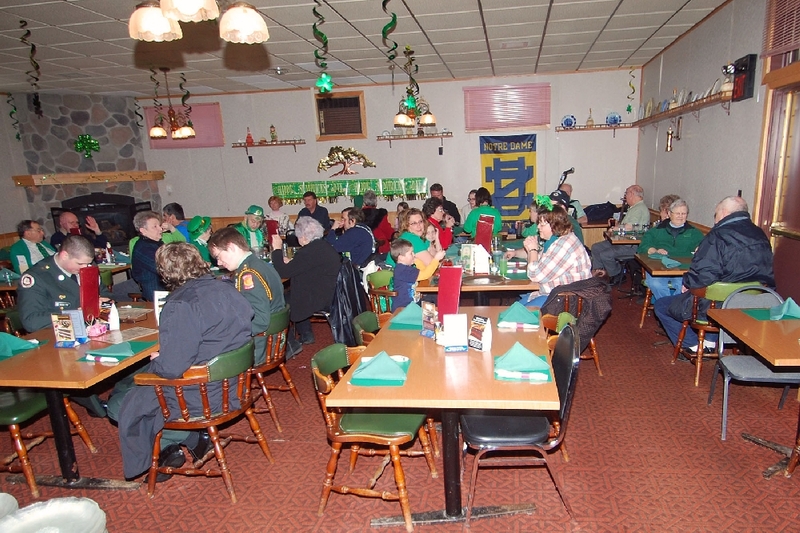 A nice crowd is on hand for the Irish festivities,which includes generous portions of corned beef and cabbage. A tip of the hat to the Irish. “May you never forget what is worth remembering, Or remember what is best forgotten”.